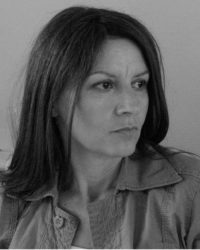 Vassiliki Georgiadou is an associate professor of political science at the Department of Political Science and History (Panteion University). She studied political science in Athens (Panteion) and in Münster/Germany (Institute of Politology) and holds a Ph.D. from the Faculty of Philosophy of the Westphalian Wilhelms University of Münster. Her research interests focus on far right parties, populism, radicalism, and political extremism. She is a member of the board of directors of the Centre for Political Research at Panteion University and a member of the Editorial Board of Science and Society: Journal of Political and Moral Theory. Since April 2016, she has been a regular member of the National Council Against Racism and Intolerance in Greece. She was Principal Investigator of the research programme “Examining Xenophobia in Greece during the Economic Crisis: A Computational Perspective” (European Economic Area Financial Mechanism/EEA-Grants) (2015–2017). Her articles appear, among others, in Electoral Studies, Party Politics, International Journal of Politics, Culture and Society, Revue des Sciences Sociales, Zeitschrift für Politikwissenschaft, Science and Society, and The Greek Journal of Political Science. Further information on Vasiliki Georgiadou can be found here.